Dustin Johnson is not one for many words, and he really doesn't need to say much. The easy smile behind the beard says it all. If winning the U.S. Open champion wasn't enough, Johnson added his third World Golf Championship on Sunday, the first time he has won back to back. His U.S. Open title was popular because of the hard times he had to confront in the majors and the confusion he had to face from the USGA for not making up its mind about a penalty on the back nine at Oakmont. And because Johnson is simply fun to watch and be around. He was loose all week at Firestone. During the opening round Thursday, he checked a reporter's phone for the score in the deciding game of the College World Series. His alma mater, Coastal Carolina, won the school's first national title. Does that lessen his chances to be alum of the year? Johnson laughed and said, "Bro, I couldn't care less." He is the U.S. Open champion and couldn't be happier. Paulina Gretzky, his fiancee and the daughter of hockey great Wayne Gretzky, had to leave Friday and Johnson kept their 18-month-old son, Tatum, with him in Ohio (with help from a nanny). Cameras caught him after he closed with a 66 on the phone with her saying, "I found him." "I didn't know where they were, and Paulina was asking me where they were," he said. "I was like, 'I don't know, I just walked off the course.'" He had the boy in his arms and later was chasing after him while waiting to see if Jason Day or Scott Piercy could catch him. Johnson said they had planned to get married last fall until it didn't fit in the schedule, so perhaps the wedding will be later this year. Asked if it would be more extravagant as a U.S. Open champion, Johnson smiled and said, "Don't matter to me. That bill is going to Wayne." But as easy as Johnson can make golf look, it still requires hard work. Johnson finished his pro-am in the rain at Riviera in February when he made a sharp detour. Instead of going up the stairs to the clubhouse for lunch, he peeled to the right and headed to the practice range. He was off to a sluggish start to the year, particularly because of the amount of time he took off and how little he had played. More than rust, however, Johnson was bothered by how poorly he was hitting his wedges at Pebble Beach. That's when he decided to change to something new — at least to him. TrackMan has been one of the most effective tools at the highest level of golf, a device that uses radar technology to measure such things as spin rate, launch angle, ball speed, club speed, how far the ball carries and the angle of the face of the golf club when it strikes the ball. In short, it lets a player dial in every aspect of his game. "Obviously, it's working," Johnson said. "So I'm going to keep doing it." 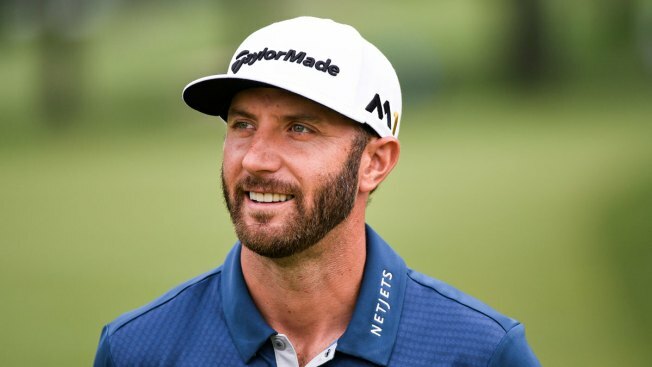 That wasn't the only change for Johnson, the 32-year-old American often considered to have the most athletic ability of any golfer. At some point late last year, he decided to move away from his natural right-to-left draw off the tee and go to a fade, a drastic change. "I was tired of hitting hooks," he said with a grin. "I feel like I hit a lot more fairways. Maybe the stats don't say it, but I feel like I do, so I think that's the important thing. I just don't feel like my misses are as bad." It was a big part at Firestone, especially in such firm conditions that made hitting the fairway even more difficult. And it helps to make putts, which is what Johnson felt was missing for so much of the year. But it's more than just putting. "I feel like tee to green, I've been really solid all year," Johnson said. "My wedges have improved a lot. I'm getting a lot more opportunities when I'm in the fairway and hitting my wedges closer than I have been. I just feel like the work I've put in with the putter is finally paying off. But I mean, it still comes down to you've got to hit the shots so you can have those putts." Whatever the combination, it's led to two weeks that have made Johnson a tough player to beat. Next stop: Royal Troon for the British Open.